My husband Steve and I had been talking for a couple of years about adding another dog to our lives. We already have an 11 year old Chocolate Lab named Reid and 2 Siamese cats named Kona and Puna. We thought that getting a puppy while Reid is still in her prime would be a good idea, with the hope that Reid would be a good role model for the pup. We both knew we wanted a smart dog because Reid is very smart herself. We wanted a dog that would be active with us as we both like to hike, ski, snowshoe, and do pretty much anything outdoors. My husband wanted a dog that he could work with on agility and frisbee. The final factor in choosing what kind of dog we were going to get was that it couldn’t be like the horse of a lab we have now; we needed something smaller and more compact. 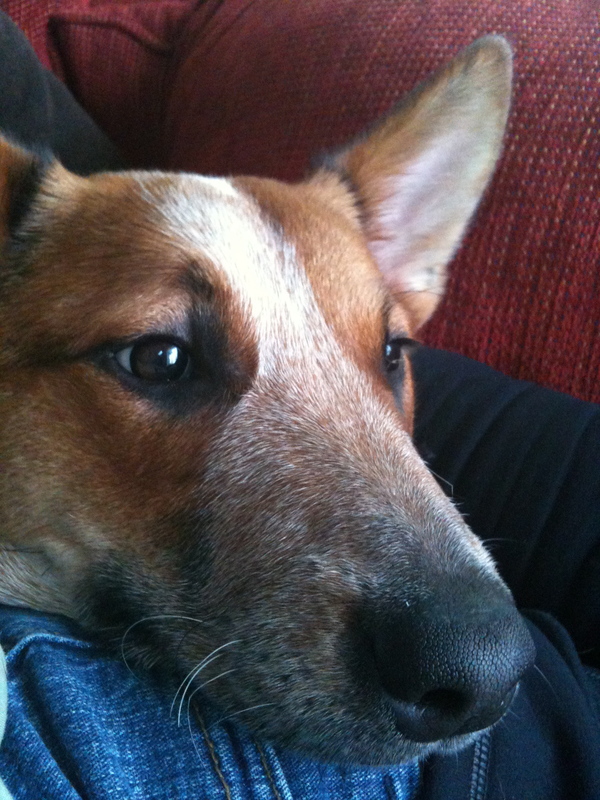 We had a strong feeling that an Australian Cattle Dog (ACD) would fit well into our family. I guess we just didn’t quite know that he was going to take us on the ride of our life! 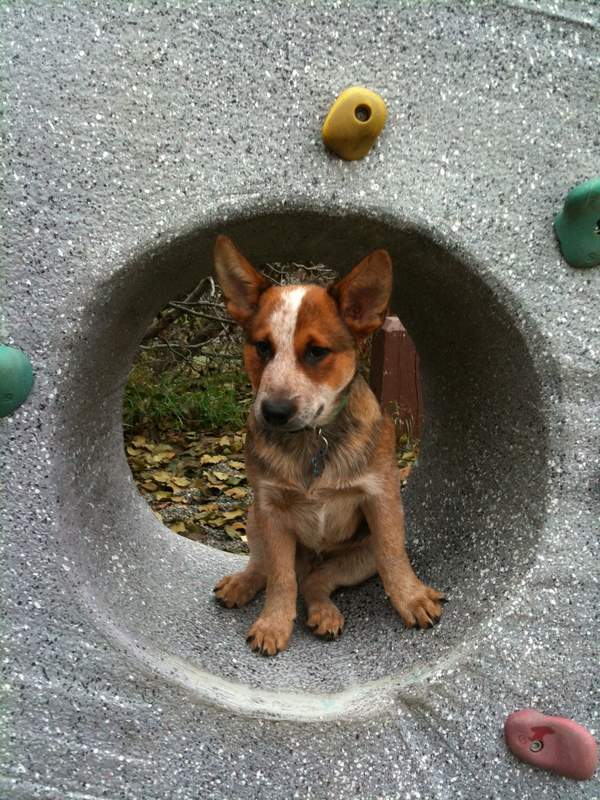 This is about us and the adventures of raising an ACD named Pongo.